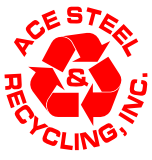 New Steel & Aluminum - Ace Steel & Recycling Inc. Ace Steel & Recycling Inc.
We Want Your Copper Wire! Ace Pays Top Dollar For Aluminum Cans! Roll Your Rims In For Cash! Ace Takes Aluminum Gutters & Siding! Ace Pays For Car / Truck Batteries! Ace Steel & Recycling is well-known as western South Dakota’s leading recycler for aluminum, copper, iron, and brass, along with car batteries, radiators, catalytic converters, and other recyclable materials, but the other half of our name is steel, and Ace can help with all of your new steel and aluminum needs! We offer a wide variety of angle iron, channel iron, sheet and plate from 20 gauge to six inches thick, along with steel pipe, tubing, and even culverts up to 48 inches in diameter and twenty-four feet in length. With the area’s best prices and selection, Ace Steel & Recycling is the first choice for ranchers, contractors, welders, fabricators and craftsmen who want to save big by building things themselves! You’ll find us on Eglin Street in Rapid City, just a mile east of Rushmore Crossing. We’re open weekdays eight to five, and Saturdays eight to noon, and our experienced staff is eager to provide you the material you need at a price that will make you smile. We’re a locally-owned family business that has served Black Hills customers for over twenty five years. Question? Give us a call at 342-8649. We're open weekdays 8 - 5, and Saturdays 8 - noon. Why buy it, when you can build it, with quality steel and aluminum products from Ace Steel & Recycling, where honesty and integrity come first! © 2004-2019 - Ace Steel & Recycling Inc.